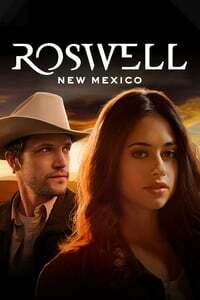 Last week I was lamenting our lack of Maria DeLuca and it’s like the Roswell writers room heard me and gifted us this Maria-heavy episode and her intriguing mother. The entire episode, directed by CW favorite Paul Wesley, serves to deconstruct the concept of the one-dimensional fun black best friend who has no life of their own, a staple in romantic comedies and teen dramas alike. Liz has been taking Maria for granted rather than considering that her best friend might have her own problems, hopes, and dreams. Many shows are unwilling to have their protagonist called out, but Alex does it pointedly. Liz admits her wrongdoing, opening the door for an episode that allows the writing to back up the life and depth that Heather Hemmens has brought to the character since the beginning. Look, I know he’s going through a lot right now, but Max Evans needs to grow up. He’s a jerk to everyone in this episode and most of them don’t deserve it. The only one who kinda does is Wyatt Long, and even he may be questionable. That’s because when they literally question him, he can’t remember anything about murdering Grant or trying to kill Liz. All he remembers is a strange symbol–the symbol, in fact, that’s tattooed on Max. Could something be controlling him? Is he having the same kind of blackouts as Isobel? And is that what’s being hinted in the first scene, a flashback to a medical procedure overseen by yet another Manes man? The episode was awesome, had a ton to think about. But I can't get past Maria deciding it was time for her mom to be in assisted living and moving her within a span of hours. Like, I can't get back to spinning theories about the aliens when there's this glaring improbability in the way. Mimi is interesting: insane, psychic, both or neither? It's a debate. The fictionalized life for Rosa was bittersweet. Alex was being bluntly honest and good for him. Yes, y'all need to stop with the "scratching post." Max, yelling at authorities is never a good idea. I did like how the serum plot worked out--very nice ending there all around.